Punjabi salwar suits collection is something everyone wants to choose from, it's a very comfort giving salwar suit styles that work for casual fashion as well as festivals. Basic styles of salwar kameez are the punjabi salwar suits, which are an basic for each lady for a casual day. 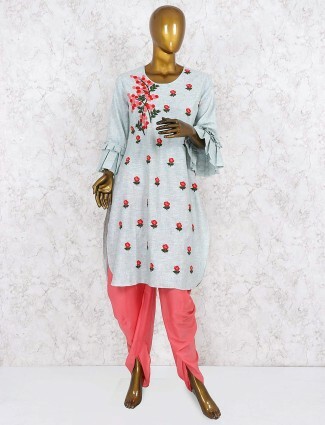 We have a punjabi salwar suits collection for festivals, parties and casual days which you can get in unstitched and readymade options for your easy online shopping purchases at g3fashion.com. Punjabi suits in fabrics like cotton, crepe, georgette, cotton silk, silk and brocades are what trends today with stylish statement dupattas or indo styles punjabi suits to give a more party look. Find budget dresses in punjabi suits collection or go for the heavy embroidered punjabi or patiala suits designs. 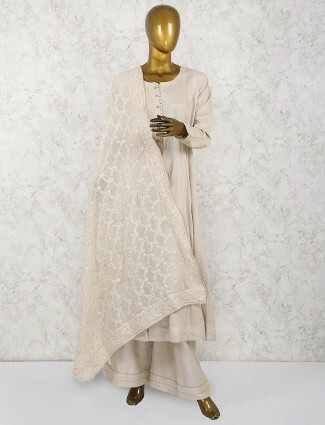 One of the most basic dresses in Indian fashion has to be Punjabi suits and has been the classic and most basic fashion styles of comfort dressing. 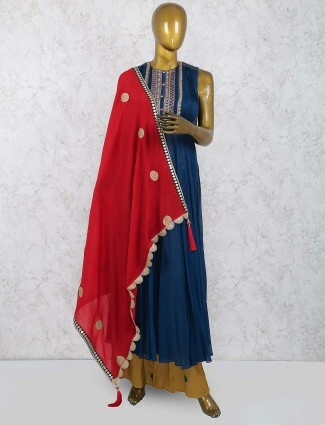 Punjabi salwar kameez now days are an important part of all wardrobes which are regularly worn for daily wear or work wear apart from other salwar suits which are chosen for occasions only. Punjabi salwar suits are styles which can work for casual fashion to party wear and wedding wear occasions as well. Punjabi suit shopping becomes more comfortable in selecting trending styles of churidar suits, Patiala Punjabi suits, cotton salwar suits, festival Punjabi suits are some which are the most sold styles and most affordable styles for all women. 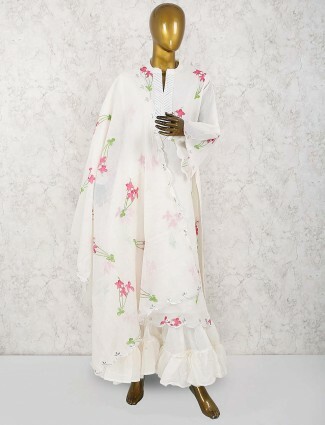 We also have designer Punjabi dresses which are special collections of designer wear pieces. We also have the indo western Punjabi suits and dhoti style Punjabi suits which are also a huge trend with younger age group women with would want to style up in designer Punjabi salwar kameez. Our Punjabi salwar suit collection offers you a variety of fabrics, pattern cuts, concepts, colors, embroideries that can be opted for different purposes and occasions. A collection of designer Punjabi dresses in cotton silk and pleated style kameez, a pastel Punjabi suit for festivals, party wear Punjabi salwar kameez in layered style look of kameez and tunics with Patiala or khajuri salwar styles of dresses are now all available at G3+fashion. Come shop for the jacket style Punjabi salwar suit collection or the indo western Punjabi suit from our party wear Punjabi salwar kameez collection. 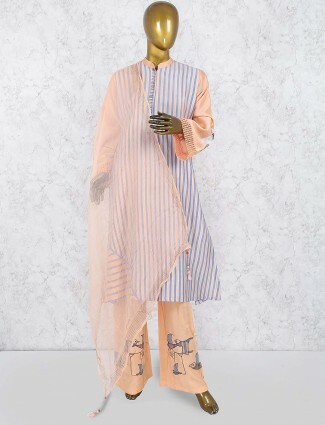 Trends of cowl salwar suits and dhoti salwar suits are found in satin or crepe fabrics and peplum kameez or jackets style kameez ot tunic style kameez which are the new indo fusion styles of Punjabi dresses collection you will get to see on G3fashion.com. We also bring silk Punjabi salwar suits shopping available in Bollywood style dresses and trends set by celebrities in punjabi suits. Get wedding Punjabi salwar kameez like Kareena Kapoor or Aishwarya Rai in Gold Punjabi churidar suit style. 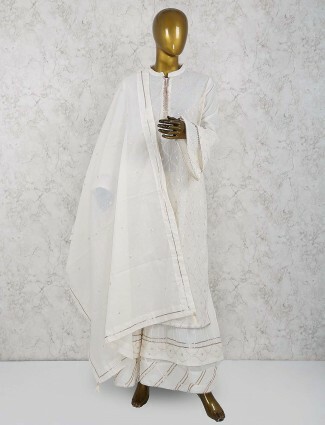 Wedding Punjabi suit styles can be shopped for in Plain kameez and brocade cowl salwar, a plain one tone kameez and salwar with a net embroidered dupatta or a silk brocade dupatta. Go for the short anarkali kameez and dhoti salwar Punjabi dresses with printed dupattas or statement embroidered dupattas. 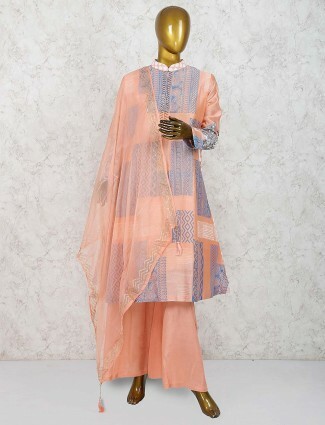 A complete stylish designer Punjabi suits collection can be found at G3+Fashion. Go for printed dupattas and plain kameez style concepts or gotta work salwar or kameez in work concepts with a phulkari dupatta or bandhani dupatta for a wedding wear Punjabi suit. 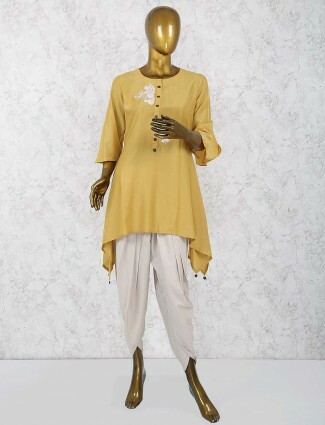 Tunic style dresses are the new formal styles and ikat cotton salwar suits in Punjabi suit concepts are a total winner for most stylish women. Kalamkari Punjabi dresses are also high in demand and you can find them in different pattern cuts of sleeve designs and neck patterns. Try out the Patiala Punjabi suits or dhoti style Punjabi suits in cottons, silks, velvet or printed fabrics to never go wrong with Punjabi suit styles. All affordable party wear Punjabi salwar kameez or wedding Punjabi suits are found on our online shopping website in sizes from small to extra-large and can be also found in made to order sizes. At G3fashion.com you can always find Punjabi Patiala suits for different purposes meeting your style of fashion and price options. Go for one Punjabi designer salwar kameez, one party wear Punjabi suit and those casual styles of Punjabi salwar kameez dresses which are a must in every Indian wear wardrobe.